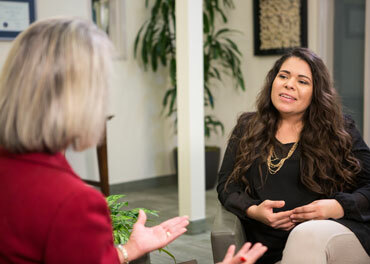 There are endless ways to remain connected to Biola and with Biolans. 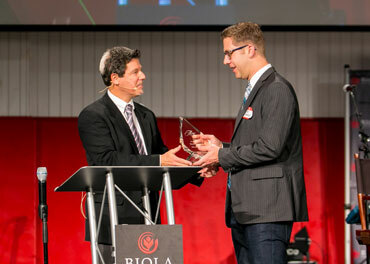 We’re Biolans for Life because those bonds formed at Biola remain for life. See how you can involve yourself in the life of Biola from wherever you are. Whether you’re down the block from Biola or way across the ocean, you can be a part of a Biolan community. There are Biolan communities forming every week! If you don’t see an Alumni Regional Contact (ARC) in your region, become the Contact and begin forming a Biolan community where you are! Contact Don Bernstein at don.bernstein@biola.edu for more information and to sign up to be a contact. Note: If you are an alumni contact, please be sure to fill out the Volunteer Code of Ethics and submit it to Don Bernstein at don.bernstein@biola.edu. The Student Alumni Association and the Young Alumni Engagement team are here to facilitate the transition from student to alumni. Whether it's mentoring, networking, navigating the work world, you have Biolans behind you and alongside you! For more information or to get involved, please contact alumni.relations@biola.edu. Biola alumni are out in the world impacting it for our Lord Jesus Christ. This impact takes various forms and in various fields. We honor, first and foremost, our Lord and we also want to acknowledge those who have made the impact with their God-given gifts and talents. For more information or to get involved, please contact alumni.relations@biola.edu. As seasoned alumni, we invite you to share and provide direct career advice to students and young alumni. Your experience can be practically applied for professional development, advancement, and career transition. For more information or to get involved, please contact alumni.relations@biola.edu. 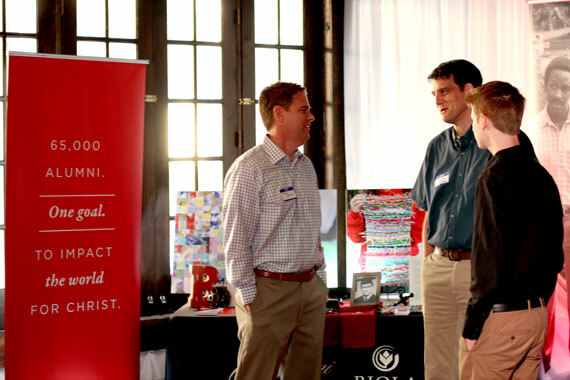 Through our mentorship program, Biola alumni are invited to share your professional trajectory and experience with a student or young alum. 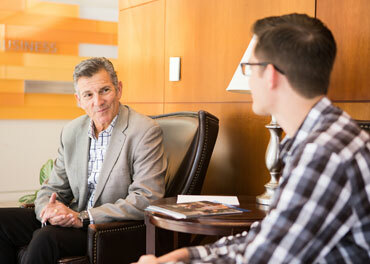 Students and young alumni can also benefit from your experience to guide and help navigate the professional landscape. 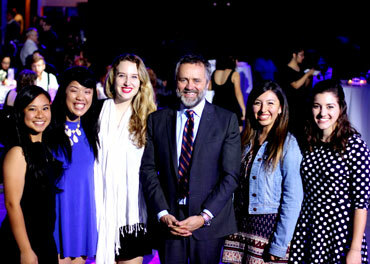 For more information or to sign up to be a mentor, please contact alumni.relations@biola.edu. There’s nothing like sitting down to fellowship over a meal. That’s what “Biolans Breaking Bread” is all about. Alumni - Invite students to your home for a home-cooked meal and share your Biola experiences while hearing all about theirs. The bond that spans over time is the "Biola bond"! For more information please contact alumni.relations@biola.edu.